I came across this pretty, pewter ring in a lot of jewellery a couple of weeks back. It is signed Ziggy Originals N.Y.C. My friend Eric at Lucky Patina had a bunch of these beauties in his Etsy shop last year. From my very cursory Googling, the company seemed to specialize in making mod rings for the swingin’ sixties set. 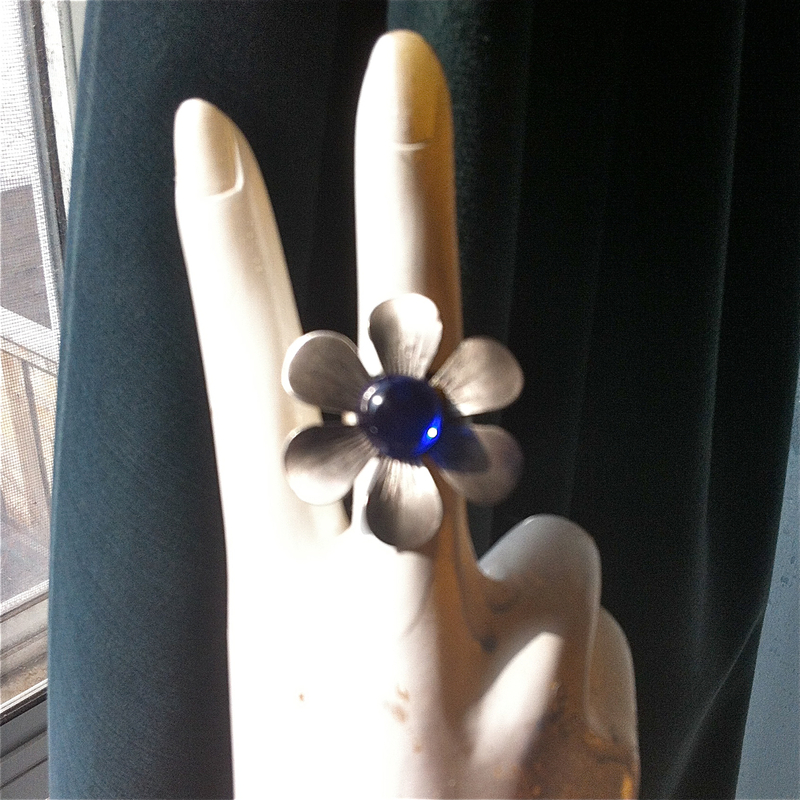 This one has a particularly pretty cobalt blue stone set in a flower.